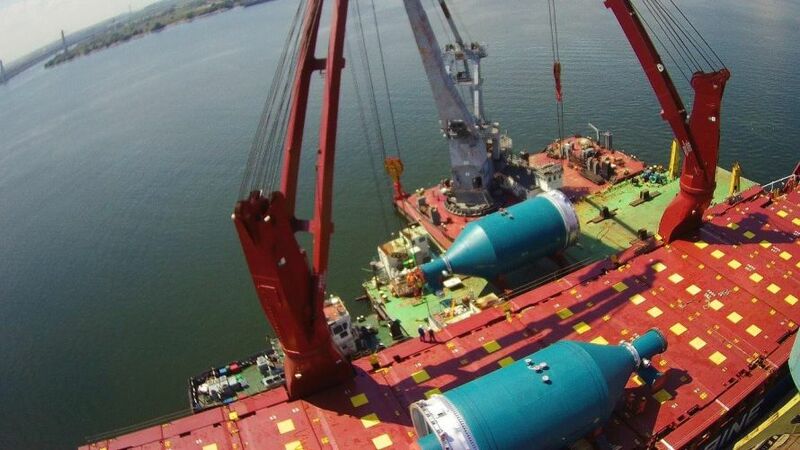 As a result of the port’s high-capacity facilities, DACOROM International is capable of organising a wide range of oversized and heavy lift cargo forwarding activities for worldwide export, import or cargo transhipment operations. A project manager / coordinator is able to provide clients with hands-on communication, logistics and transportation support throughout the entire project. The port has a 250,000m2 open platform storage area and a 35,000m2 warehouse with special lifting equipment and shore cranes. DACOROM International provides multimodal door to door transportation, warehousing and storage operations, as well as complex industrial and civil project services. The company specialises in river transportation, providing barges from Constantza to a wide range of European ports, including Belgrad, Budapest, Bratislava, Vienna, Pasau, Degendorf, Regensburg, and Antwerp. 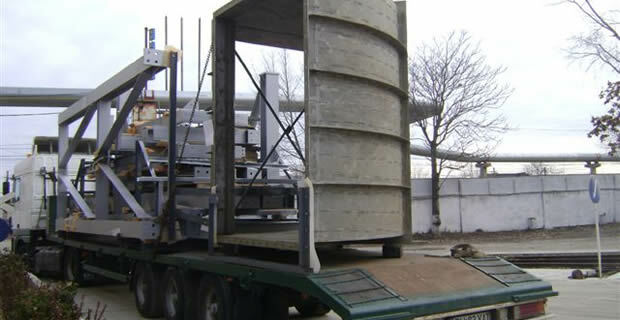 Road transportation is also available using DACOROM’s OOG and heavy lift cargo / special trailers. DACOROM International supplies cargo surveys, inspections and insurance as part of its portfolio of multimodal transportation solutions. The company provides clients with customs clearance operations, worldwide ocean and air freight, as well as transport consultancy. All areas of the project’s logistics are thoroughly analysed by our team of industry experts and organised into several important areas. 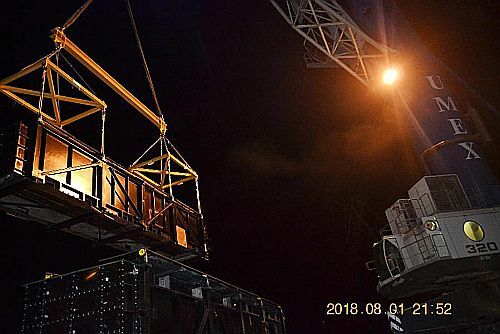 Once this has been carried out, DACOROM’s project specialists are sent out to the client’s site to examine the main challenges of the assignment. Every project logistics is analised in details and into essential elements, even by organising advance trips by our Project Specialists to the key points in the project corridor. Finally a Project Manager / Coordinator is assigned to manage the entire Project, to deal all the operation (communication, logistics and transportation), as becomes the direct liaison with our customers. Forwarding & Logistic activities, 24/7 within Europe – Danube River and Black Sea countries plus all related operations ( crainage, customs clearance, warehousing, multimodal transport, handling distribution, etc. The freight-forwarder DACOROM INTERNATIONAL has loaded on board of maritime pontoon KUWWAT (owner IBRAKON – flag Panama), between periods August 21-23, 2016, in the Constanta Port / UMEX terminal –Romania, using the berth 39 and berth RO-RO3, a huge industrial item called „CO2-Regenerator” with the weight of 366 mt and volume of 4,224 cbm . 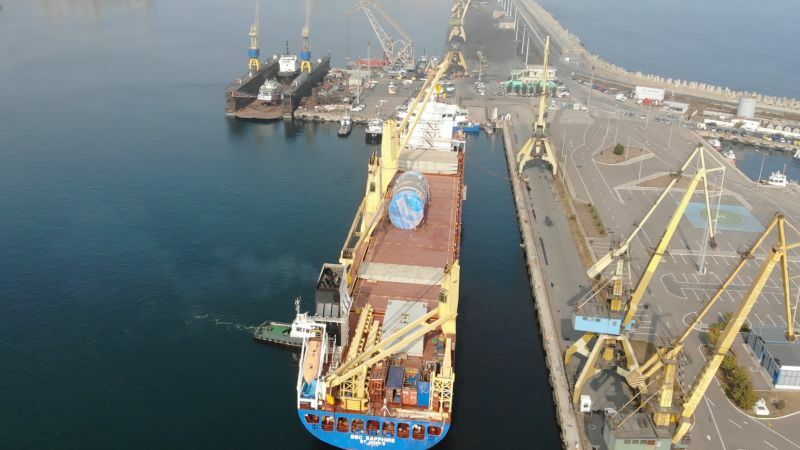 This item has been shipped by Mitsubishi Corp Japan, from S.Korea/Masan to Romania/Constanta(transshipment port) and further from Constanta port to Turkmenistan, being part of the equipment and material for Turkmenistan Garabogaz Fertilizer Project.